Ads may preferably be submitted as high-resolution PDF files, but also may be submitted in QuarkXpress, (please collect all fonts and pictures for output) or as CMYK tiff or eps files. Any ads created in Microsoft Word, Microsoft Publisher, Power Point, or any other word-processing program WILL NOT BE ACCEPTED. All ads submitted should be suitable to print as is. Home Design & Decor is NOT responsible for any errors in content if files are prepared improperly and mechanical requirements are not met. Home Design & Decor will not guarantee the reproduction of the ad, and additional production charges to the advertiser may result. Proofs must be provided at 100% size with crop marks. For advertising information please contact us. 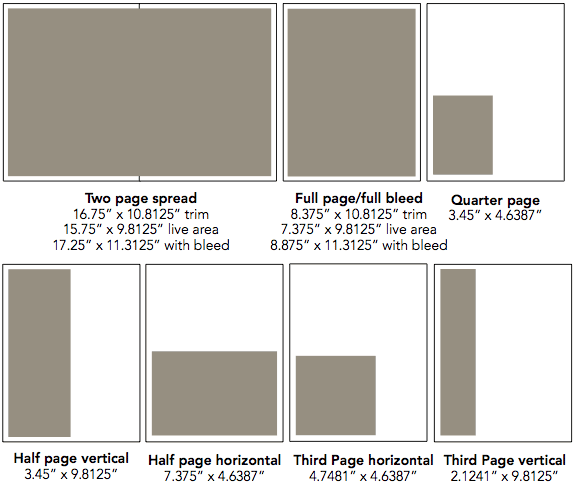 You can also view our media kit, ad specs, or see our reader demographics. 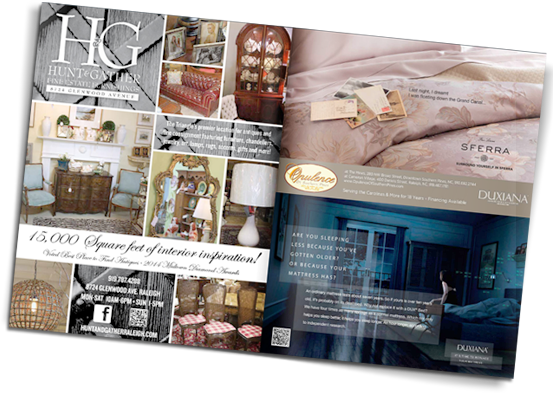 If you've got a great story about your business, why not partner with Home Design & Decor? We realize the importance of telling YOUR story to an audience that cares.